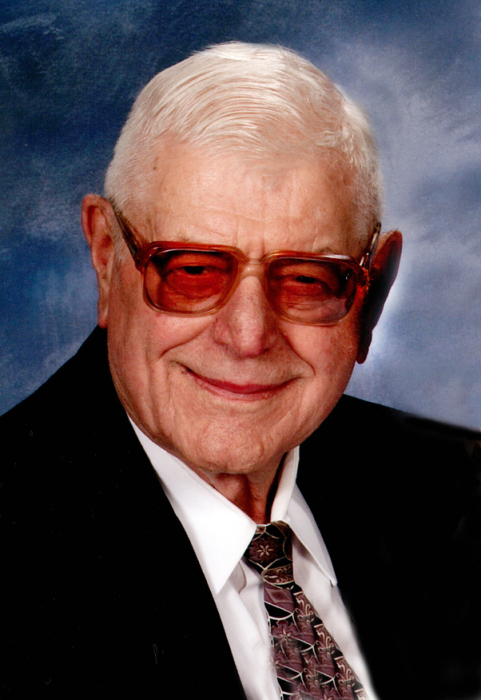 Lloyd Keidel, 89, Mandan, died November 15, 2018, at Sunset Drive – a Prospera Community, Mandan. A funeral service will be held at 10 AM on Monday, November 19, 2018, at First Lutheran Church, Mandan, with Rev. Christina Martin officiating. Burial will be at St. John’s Cemetery, rural Mandan. Visitation will be held from 5 to 7 PM on Sunday, November 18, 2018, at Buehler-Larson Funeral Home, Mandan, with a prayer service at 6 PM. Visitation will continue one hour prior to the service at the church on Monday. Lloyd was born March 6, 1929, in Mandan to Ernest and Emma (Timm) Keidel. Raised on the family farm south of Mandan, Lloyd attended country school through the eighth grade. Lloyd worked on the farm before enlisting in the National Guard where he served for six years. On October 20, 1962, he married Viola Scheid in Hazen. They made their home on his family dairy farm where they raised their two daughters and worked together until retiring in 1987 when they moved into Mandan. Viola passed away in June 1991. On June 4, 1993 Lloyd married Virginia (Munson) Larsen at First Lutheran Church in Mandan. Even in his retirement, Lloyd still enjoyed helping on his daughter and son-in-law’s farm and was also a driver for Ressler Chevrolet. Lloyd enjoyed woodworking, cutting quilt squares for First Lutheran Church ladies, and spending time with his grandchildren. He was a charter member of the Mandan Rural Fire Department and a member of First Lutheran Church in Mandan where he served as an usher for many years. Blessed to have shared his life are his wife, Virginia Keidel, Mandan; two daughters, Lori (Robin) Fisher, Mandan and Donna (Lynn) Sommer, Washburn; step-sons, Timothy (Marilyn) Larsen, Sumner, WA and Terrance (Paula) Larsen, Rapid City, SD; step-son-in-law, LaVern Hanson, Bismarck; three grandchildren, Madison and Cassidy Sommer and Mitchell Fisher; step-grandchildren, Chas (Terra) Larsen and Kimberly (Andrew) McGlashan; step-great-grandchildren, Dylan and Kiara Larsen; sister, Leona Wetsch, Urbandale, IA; brother, Walter (Leona) Keidel, Mandan; sister-in-law, Bernice Beick, Spokane, WA; brothers-in-law, Alvin Scheid, Hazen and Harry (Vicki) Munson, Coos Bay, OR; and numerous nieces and nephews. Lloyd was preceded in death by his parents; his first wife, Viola; grandson, Dylan Lloyd Sommer; and step-daughter, Jenifer Hanson. Memorials are preferred to First Lutheran Church.